Your editorial on English Votes for English Laws (10 July) states “there is no credible argument” for MPs from Scotland continuing to vote on issues which “only affect England”. However, all MPs in the British Parliament are in exactly the same situation. No MP from Northern Ireland, Scotland or Wales can vote on such matters either. All MPs are equal. Therefore, you have arrived at your conclusion by deducing it from a false premise. Consequently, your conclusion is wrong. That would be a fair point, and in the absence of being able to abolish devolution, those such as myself who believe in the maintenance of the UK as a unitary state (and not just a “union state”) would answer it with four statements of principle. Firstly, every law passed in the British Parliament affects everyone in the UK. There is no such thing as a law which can “only affect England”. This is especially the case when England has 84 per cent of the UK’s population and 533 or 82 per cent of the 650 MPs. Secondly, every MP represents and makes decisions for all of the UK. They do not only represent their consciences, their parties and their constituents. To support the regionalisation of voting is to say that MPs, and those who vote for them, should no longer think of the British population, or the UK, as one. It is to say that MPs and voters should consider primarily a regional interest, rather than a wider British interest. Thirdly, an MP from any part of the UK must be able to become Prime Minister and reach Cabinet office. 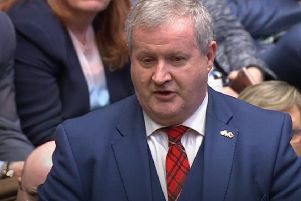 Evel, and much of the Scotland Bill, risks rendering MPs from Northern Ireland, Scotland and Wales increasingly redundant, and turning the House of Commons into an English, not British, Parliament. Fourthly, it follows from these principles that every MP has a right to vote on everything that comes before the British Parliament. That is how it is now, and how it should remain. Finally, that MPs from Scotland may sometimes outvote the will of “England”, as represented by a majority of MPs from England, is a positive argument for the Union. because sometimes “England” can be wrong.